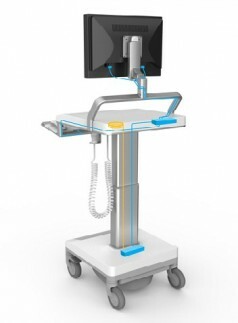 The digital motorised X-ray system Amadeo C impresses with best auto-positioning technology, ceiling mount, height-adjustable patient table and Bucky wall stand. Due to the special ease of movement, supported by auto-tracking and APR positioning, the ceiling mount can be moved quickly, efficiently and effortlessly to the desired position (pre-programmable). The Amadeo C X-ray system can be optimally adjusted to various spatial circumstances. The height-adjustable four-way floating table top with motorised vertical lift is the ideal support for all routine examinations. From now on we also offer our austrian services for the outstanding medical devices of the Havel Healthcare GmbH, which was founded in 2013. The portfolio of Havel Healthcare is focussed on patient care and IT. In the patient care sector the company offers many products used around the hospital bed (e.g., alarm sensor that reacts when people fall out of bed, anti-decubitus-mattresses). The IT sector includes special hardware according to the EU Medical Guidelines (eg. medical PCs, hygienic keyboards). Moreover, general products are also sold, which are used in hospitals and home care. As a longterm experienced 3M distribution and service partner service power austria is offering now the complete portfolio of services and products made by bibliotheca. 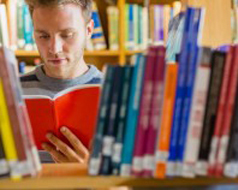 The completed sale transfers 3M’s former North America Library business, including the security (EM), productivity (RFID & AMH) and cloud (eBooks) solutions, all of which will be joined with the existing bibliotheca product set to create the single largest ‘best of breed’ solution set globally. The wonderfully light, portable Leonardo DR nano system is perfect for X-ray examinations anywhere, any time. 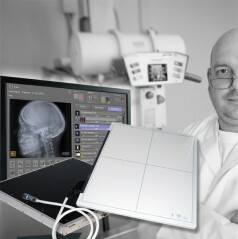 The Leonardo DR nano system, manufactured by Oehm und Rehbein in Germany, consists of two components only, a wireless X-ray detector and a tablet PC. Weighing only approx. 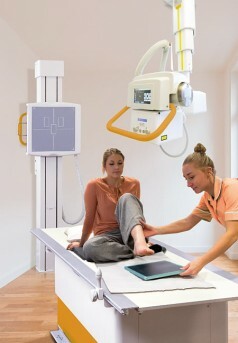 8 kg, the system is one of the lightest portable X-ray solutions worldwide. It supports users in outpatient digital radiography. 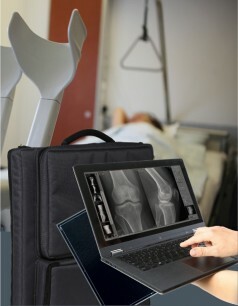 Upgrade your existing stationary or mobile X-ray system to digital and configure it according to your own requirements. Tethered or wireless X-ray detectors of various makes and sizes allow custom configuration of the system. The dicomPACS®DX-R acquisition software can be operated intuitively via a touchscreen, adjusts to your work routine and provides X-ray images of the highest reproducable quality. 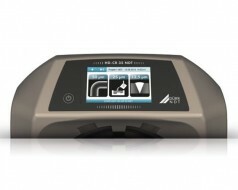 This new image plate scanner is the optimal device for entering into the CR technology. Upgrade now and save money! Discover the advantages of digital radiography with high definition images and excellent technology. When deciding in favour of a HD-CR 35 NDT, you purchase a device perfectly applicable for non-destructive weld inspection by means of indefinitely adjustable laser tracking. The imaging plate scanner from DÜRR NDT is the world´s first BAM-certified system meeting all the stringent requirements of EN 14784-1 and EN 14784-2. Special offer: Trade in your most recently used NDT X-ray imaging device for a brand new HD-CR 35 NDT and save a lot of money!